The Nigeria Football Federation (NFF) have terminated the contract of Super Falcons coach, Edwin Okon. The women’s national team’s exit at the ongoing FIFA Women’s World Cup in Canada and his refusal to shake hands with coaches at the tournament were the major reasons why his contract wasn’t renewed. 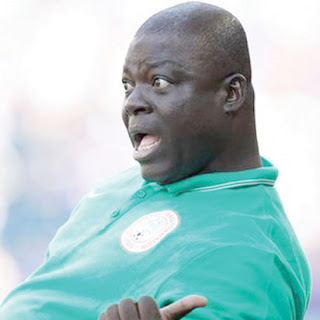 ‎The Rivers Angels’ assistant, Christopher Danjuma has taken over as an interim coach. “The contract given to the crew has elapsed with the Women’s World Cup in Canada. Mr. Christopher Danjuma will now take over the team in acting capacity, pending the appointment of a substantive coaching crew, the process of selecting a capable replacement has began. “We commend Okon and his crew for the services rendered to the country. They did well to reclaim the African Women Championship title for the country in Namibia in October 2014, thus qualifying the team for the Women’s World Cup in Canada,” NFF technical committee chairman, Felix Anyansi said.